This a two tone Jefferson painted solid wooden kitchen with solid wood worktops. 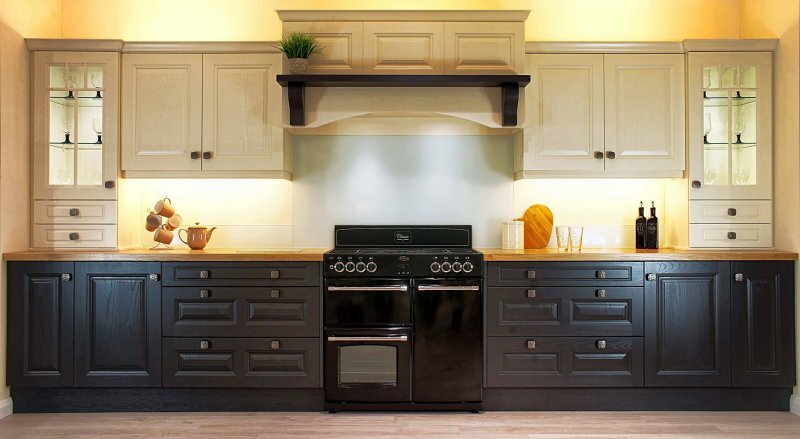 The wall units are painted in ivory and the base units are painted in graphite with a graphite mantel over the cooker. On either side of the range we have put a cutlery drawn and 2 x 1000mm pot drawers for storage. We have also used full height glass display units at either end. For any further information or to book our free design service please call 028 9182 6678.